We have written previously about the US Consulate in Mazar-e-Sharif in September 2009 (see New US Consulates Opening in Afghanistan), in December 2009 (see US Consulate in Mazar-e-Sharif Moving Forward) and in May 2012 (See US Consulate Mazar-e-Sharif: $80 Million and Wishful Thinking Down the Drain, and Not a Brake Too Soon). That $80 million did wonders to the Mazar Hotel, but in 2012, WaPo reported that “American officials say they have abandoned their plans, deeming the location for the proposed compound too dangerous.” We sent an inquiry to US Embassy Kabul concerning plans for the consulate but our email got the loud silent treatment that we’ve come to expect from our public affairs professionals there. We understand from other inside sources that the US Consulate in Mazar is continuing operation in its interim facility with no clear plans on what happens in 2014 in terms of new location, funding or staffing. For now, it appears that the consulate does not have a building to move into or even a website. It does have a Facebook page here. And we have senior diplomat Peter Kaestner as the State Department’s Senior Civilian Representative to Northern Afghanistan. Correct us if we’re wrong, but if our recollection is right, this position serves as Principal Officer of the consulate in Mazar-e-Sharif and concurrently as Senior Civilian Representative to the International Security Assistance Force’s Northern Regional Command. 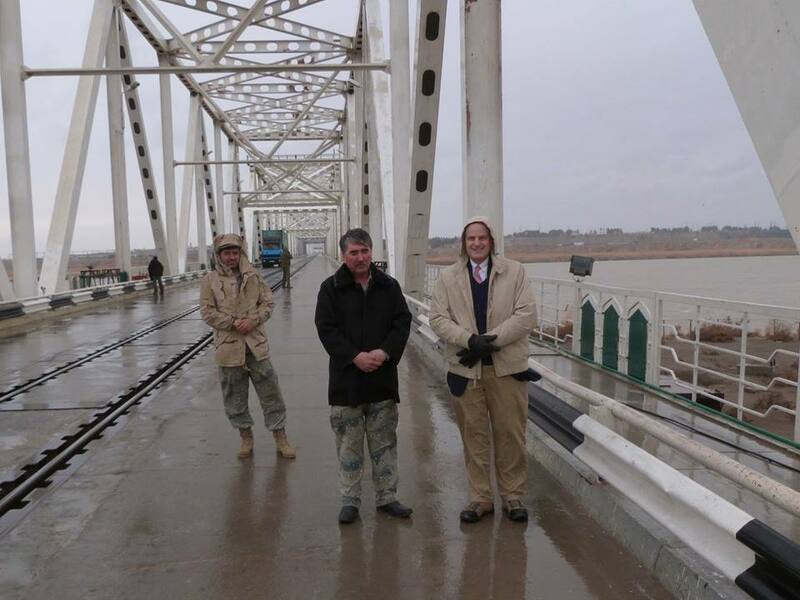 Peter Kaestner, Senior Civilian Representative to Northern Afghanistan, visited Hairaton bridge on the border with Uzbekistan. During his visit he reviewed the Afghan Border Police barracks that had been renovated with U.S. funding and visited the Afghan side of the bridge to Uzbekistan, which will be renovated with U.S. financial support. Besides being a diplomat, Mr. Kaestner is also a world-renowned birder. He has been birding since he was a child and now has one of the top ten world bird lists, having seen 8471 different species. He is recognized as the first person to see all the bird families, and he discovered a new species of bird when he was stationed in Colombia. In Surfbirds World Bird Species Life List, Mr. Kaestner is ranked #8 and is one of only two Americans in the top 10 ranks. Last year, British birder, Tom Gullick, 81, become the first person in the world to officially see 9,000 species of bird. For the North American Hollywood version of this competition, see The Big Year with Steve Martin, Jack Black and Owen Wilson. Mr. Kaestner has not forgotten his birding even in Northern Afghanistan. US Consulate Mazar’s FB post says that in addition to his regular duties, Mr. Kaestner has been busy studying the birds around Mazar-e Sharif and sends out an invitation: In the coming weeks and months, Peter will be sharing information about the birds that he has seen in Afghanistan. If you have any questions about birds you, please send them to us. If you have a photo, he will be able to help identify the species. SCR Kaestner’s birding blog: One of the most characteristic birds of Mazar-e Sharif is the Kabooter Safed, or White Pigeon. Like the Blue Mosque where they live, the White Pigeons of Mazar have been associated with the city since the 12th century. Tradition says that the pigeons are white as a reflection of the peace and purity of the mosque – and that the pigeons that live at the Mosque become pure white. This must be true, because I saw a white pigeon near the Mazar Airport that was not pure white! The white pigeon is descended from the Rock Pigeon, a wild bird that lives in the rocky cliffs in the mountains of Balkh Province. SCR Kaestner’s Birding Blog: One of the most attractive birds around Mazar is one that most people have never seen. The Goldfinch is a widespread bird in the Palearctic faunal zone, and very familiar in Europe. The Central Asian form of the Goldfinch lacks black on the head and has a much longer bill. It is possible that some day our Goldfinch will be recognized as a separate species by taxonomists (scientists who study the classification of living things). Birders appreciate when such changes are made, since it means another bird can be added to their bird total. CR Kaestner’s Birding blog: Birds that live near people are often characterized by their adaptability. The starling family has several species that have become familiar around human habitation, especially in cities. The Common Myna is an easy bird to identify, with its bare yellow face and large white wing patches. They often feed on the ground, and will eat most anything. A species of Myna in southern Asia, the Hill Myna, can be trained to talk! This forest species has become rare in some areas because they are trapped to be sold as pets. Birders can only count birds in their native environment, not in cages or zoos. SCR Kaestner’s Birding blog: Another family that does well around humans are the crows. The most common corvid in Mazar is the Eurasian Magpie. It is easily identified by its large size, long tail, and white wing feathers. Magpies are omnivorous, meaning that they eat a variety of things. Members of the crow family are renowned for their intelligence – a trait not usually associated with birds. Indeed, one crow (in New Caledonia) uses tools in nature, and has been shown to solve complex tasks. We’ll discuss crows and ravens later. More on Afghanistan birds here and here. In 2009, researchers for the Wildlife Conservation Society discovered the breeding area of the large-billed reed warbler—dubbed in 2007 as “the world’s least known bird species”—in the remote and rugged Wakhan Corridor of the Pamir Mountains of north-eastern Afghanistan. According to WCS, the first specimen of the large-billed reed warbler was discovered in India in 1867; the next was not spotted until 2006, in Thailand. Isn’t it interesting that the bird that has been spotted just twice previously in over 100 years was found breeding in Afghanistan? In June this year, BBC News reported that Afghanistan’s Environment Protection Agency, Mustafa Zahir, told a local TV news channel that nearly 5,000 birds are smuggled out of the country every year. The birds include falcons and Houbara Bustards – the latter apparently, widely prized as quarry by hunters in the Gulf. For some bird photos, see Afghanistan Birds on Pinterest, that European Bee Eater is one showy and gorgeous bird!